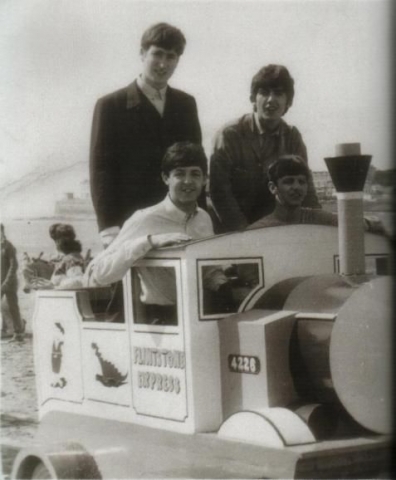 Meet the Beatles for Real: All Aboard the Flintstone Express! All Aboard the Flintstone Express! Early inspiration for "A Hard Day's Night" train scenes. July 22 to 27, 1963. Weston-super-Mare, North Somerset. Photo by local photographer G.D. Smith.